Dependable provider Ticketability.com is delighting customers with tickets for Van Halen at lower prices. 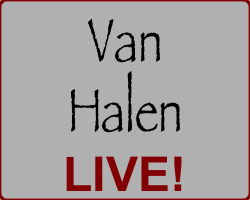 Van Halen tickets go on sale to the public on April 4 for shows in Chicago, IL, at First Midwest Bank Amphitheatre; Morrison, CO, at Red Rocks Amphitheatre; Salt Lake City, UT, at USANA Amphitheatre; Portland, OR, at Amphitheatre Northwest; Seattle, WA, at White River Amphitheatre; and Bangor, ME, at Darling’s Waterfront Pavilion. Dependable provider Ticketability.com is delighting customers with tickets for Van Halen at lower prices. From July 5 until October 2, the popular rock band will perform in North America, including two Canadian concerts scheduled for London and Toronto. Discount tickets for Van Halen will sell very quickly to rock music fans who will not want to miss the opportunity of enjoying a live rock concert featuring their favorite band and music. Visit Ticketabiity.com to browse an inventory of discount Van Halen tickets. The fun begins in Seattle on July 5 at White River Amphitheatre. The musicians have a variety of cities to visit during their tour, including San Bernardino, Kansas City, Holmdel, Hartford, Camden, Cincinnati, Indianapolis, Bethel, Detroit, Birmingham and Dallas. The final concert has been set for the Hollywood Bowl in Los Angeles on October 2. Canadian fans can obtain discount tickets for Van Halen for a London show on August 5 and a Toronto performance on August 7. The band also performed on March 30 on Hollywood Boulevard for Jimmy Kimmel Live, and the event aired on two nights, March 30 and 31. This televised event was the first in the U.S. for the group that featured David Lee Roth. Van Halen tickets for Chicago, Morrison, Salt Lake City, Portland, Seattle, and Bangor will be available for purchase to the general public on April 4. Concerts will book rapidly for this massive North American event, and fans are urged to acquire seats for their chosen performance without hesitation upon availability. Ticketability.com has lowered the prices of Van Halen tickets for Chicago, Morrison, Salt Lake City, Portland, Seattle, and Bangor, and the prominent provider can accommodate thrifty concertgoers. Disclaimer: Ticketability.com is not associated with any of the artists, teams, venues, organizations, institutions, or bands featured on their website in any way. Furthermore, any names or titles used in this press release are solely for descriptive purposes and do not imply, indicate, or suggest any type of affiliation, partnership, or endorsement.